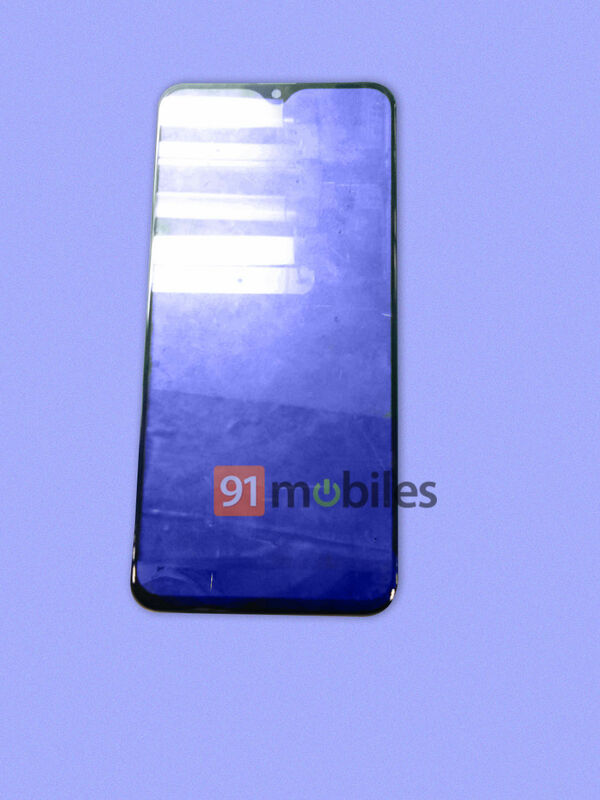 An image has appeared that would show the front of the Galaxy M20, a new midrange smartphone from Samsung with a notch in the screen in the form of a water drop. Samsung has not yet released a smartphone with a notch. The picture of 91Mobiles shows the smartphone, although there is no logo on the housing. It would be the M20, a device from the upcoming Galaxy M-series, which would replace the J and On smartphones from Samsung next year. In addition to the M20, an M10 would also come out. The site claims that the phone is already mass-produced in an Indian factory. The M20 would have a 5,6 “-oled screen with 2220×1080 pixels, with the front camera in the notch. soc, a processor that is included in the Galaxy A7 and A8 this year, the M20 would end up in a lower price range than these two phones. Samsung has not released any notched devices so far, though it has a prototype of a 5g phone a notch in the upper right corner .The Galaxy S10 would also get a hole in the screen for the front camera. The water drop notch is already on various devices that are for sale in the Benelux, like the OnePlus 6T and Oppo R17 Neo and Pro, it is not known when Samsung would like to announce its new Galaxy M-series, a logical moment for example is electronics trade CES, which takes place in Las Vegas at the beginning of January.